Is video marketing a new thing? Actually, even though brands started actively using online videos for promotion not so long ago (relatively), video marketing has been around for quite a while. It can be traced back to the TV ads you know so well. Ever since TVs showed up in homes, it’s the videos that have been selling you everything from yogurt to anti-dandruff shampoo, and the brands have been more than willing to pay big bucks for that. With the advent of Internet and YouTube, video marketing has evolved into a much more accessible and affordable tool – and what’s even better, a truly powerful one. Research and stats show that videos can be much more effective than any other type of online marketing, and here are some amazing facts to back that up. YouTube gets over 1,000,000,000 unique visitors monthly, which makes it the second most frequently used search engine after Google. Since 2013, more than half of all Internet traffic is video content. Almost every Google search yields at least one video result on the first page. That means you are far more likely to get a video to page one than any text or graphic content. According to Dr. James McQuivery of Forrester Research, one minute of video has equal value to 1.8 million words. 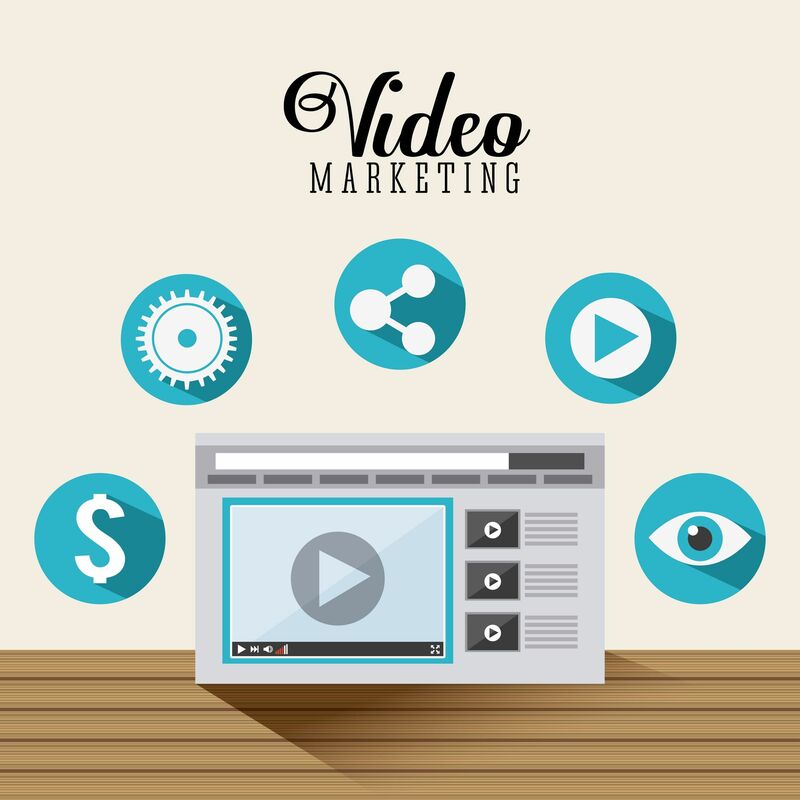 Online video marketing is 6 times more effective than traditional direct mail and print advertising. 50% of people say they are more likely to get interested in a product after watching an online video about it. Internet users are 75% more likely to watch the video than read its description or transcript. 60% of users, when landing on a page with a video, watch the video before they read all the other content on the page. A user who liked your online video becomes 97% more willing to buy from you. If a web video is information-rich, people are likely to watch it two or three times. Data shows that video marketing has much more power than you might have thought. Video content is easier to get high rankings for, it is highly engaging, persuasive, and able to influence your buyer’s decision-making. Considering that, don’t ignore video marketing and start using its potential to grow your brand online! Are you using online videos for promoting your business on the web? What type of video content works best for you? Feel free to reply in the comments below.